It’s hard to believe our 6th Multicultural Children’s Book Day online and offline celebration is less than two months away and it all began as a desire to right a wrong in the children’s book industry. Back in 2013, the original founder of Jump Into a Book, Valarie Budayr, and fellow mom/book lover Mia Wenjen from PragmaticMom decided that the time had come for a diverse-book-related initiative. There was an overwhelming need for young readers from the diverse world we live in to “see themselves” in the pages of the books they read. The focus of this very special initiative was two-fold: get diverse books into the hands of young readers while also shining the spotlight on the authors and publishers who create them. Together these two powerhouse women created an ambitious — and much-needed — national event know today as Multicultural Children’s Book Day. Now as the calendar is getting ready to flip yet another new month, the JIAB Team thought we better give a “heads up!” to diverse kids’ and YA book lovers and book publishers who would like to get involved in this online and offline celebration. 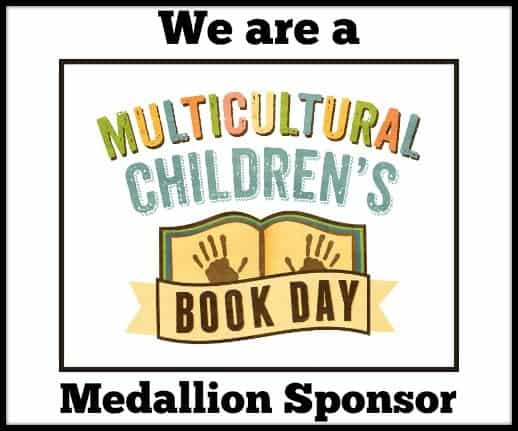 Sponsorship for Multicultural Children’s Book Day is not only a great way to support this event; it is an excellent way to get your name (and your books) in front of thousands of readers. All of our Sponsors get a name mention within the hundreds of reviews that get posted from December to January 25th and also on the sites of our 24+ CoHosts sites. The deadline for ALL Sponsor sign-ups is 12/15/18. Our Sponsorship levels also range from Platinum to Author Level and “Friends of MCBD” to fit any budget. Check out our current Medallion Level Sponsors and Author Sponsors to see what amazing people you’ll be keeping company with! NEW PERK: Those who sign up for Platinum or Super Platinum level for MCBD2019 will be enjoying the opportunity of providing up to 12 guest posts (written by the sponsor) that can be used on the MCBD blog over the course of 12 months! Again…The deadline for ALL Sponsor sign-ups for is 12/15/18. Get the full scoop on all levels of Sponsorship for MCBD2019 here. If you love diverse books for kids and have a social media platform to share a review on, we want to give you a FREE diversity book to review! We are thrilled to announce that we have almost 700 book reviewers signed up to review multicultural kids’ and YA books for our event. Get all the details and sign up info HERE. Reviewer sign up closes 12/15/18. 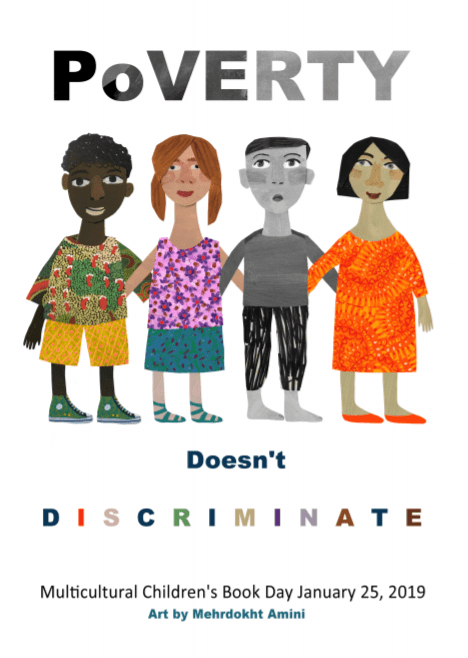 Don’t forget to grab your FREE Teacher Classroom Poverty Kit! From the MCBD Team: As our sixth Multicultural Children’s Book Day holiday approaches on January 25, 2019, we are thrilled to have you as part of our amazing community of supporters! With enthusiasm, optimism, and hope, we are preparing for MCBD 2019 and hope you will, again, join our celebration of diversity through children’s books. Thank you for cultivating understanding, kindness, inclusion, and exploration of this beautiful world in your classroom.